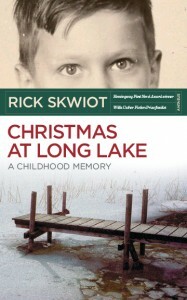 Rick Skwiot is the award-winning author of two novels set in Mexico, one in Key West, Florida and a newly released detective mystery, FAIL, (Blank Slate Press, October, 2014). His critically praised childhood memoir (Antaeus Books, 2010) has quickly become a holiday reading classic. He has published numerous feature stories, short stories, essays and book reviews in magazines and newspapers. Rick has taught creative writing at Washington University in St. Louis and at the University of Missouri-St. Louis, where he served as the 2004 Distinguished Visiting Writer. Or, ask your local independent bookseller!